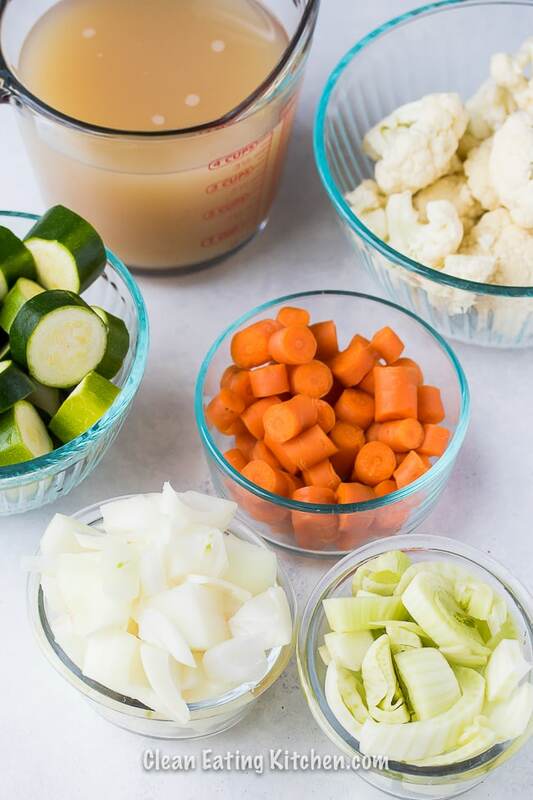 If you’re looking for a healthy, low-carb recipe that is hearty and delicious, you’ll love this Instant Pot Vegetable Beef Stew! I’ve been making beef stew for years because it’s one of my husband’s favorite recipes. His eyes light up whenever I tell him beef stew is on the menu. I used to always make it in the slow-cooker because the long cook time always seems to make the beef so tender, especially since I almost always use lean, grass-fed beef. Then, one day, I told my husband that I was going to try making it in the Instant Pot. He almost cried in protest! I think he was afraid that his beloved favorite dish wasn’t going to be good as he remembered it. I was worried that he would be disappointed, but the stew turned out perfectly. I mean, perfectly. The beef and vegetables were tender, and the broth was rich and flavorful. Phew! Alan was happy that his dish was as good as (he even said maybe better), and I was happy because I didn’t have to set the slow-cooker to cook for hours in my kitchen which always makes my house smell like stew for days. Why Use the Instant Pot? So, let’s re-cap. Why is the Instant Pot my preferred appliance for making beef stew now? Usually I add potatoes to my beef stew, but I decided to make a lower-carb version. This also turned out to be another great win. The cauliflower I added at the end kind of stood in the potatoes and we didn’t miss them at all. 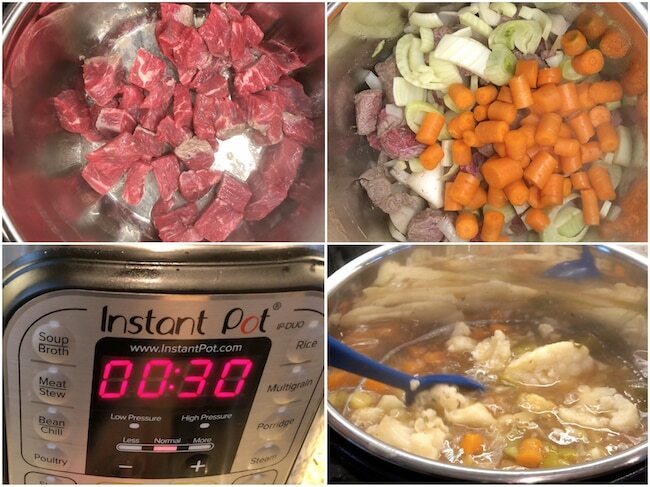 How long do you cook beef stew in the Instant Pot? I recommend cooking at high pressure for 30 minutes. 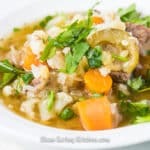 How do you cook beef stew in an Instant Pot? I recommend using stew meat or a chuck roast that you’ve cut into about 1-inch cubes. Cook with your vegetables for 30 minutes on high pressure. I would like to note that I added the cauliflower florets after the beef and other vegetables had cooked for 30 minutes. I then cooked the cauliflower with the stew for an extra minute to keep it from getting overcooked. What so great about Instant Pot? The Instant Pot is a modern, electric version of a pressure cooker that is easy and safe to use. Pressure cooking cooks most foods in about half the time you would cook on the stovetop or in the oven. If you like this easy Instant Pot recipe, then you might like these too! Press the Sautébutton on your 6- or 8-quart Instant Pot and let it heat up for about two minutes. Combine the beef, garlic, and onion in the post and sautéit for 3 minutes, using a wooden spoon or spatula to move the beef around so it browns on all sides. Cancel the Sauté function and add the dried thyme, zucchini, carrots, fennel, and broth. Stir to combine. When the cooking time is up, let the pressure come down naturally for 10 minutes before using the quick release to unlock the lid. When the cooking time is up, use the quick release to release the pressure. Season with salt, to taste, and serve immediately, or cover and refrigerate for up to 4 days. Be sure to pin this image to Pinterest to save it for later! I love how this turned out in the Instant Pot! I would like to substitute radishes, for the cauliflower. Is that possible? 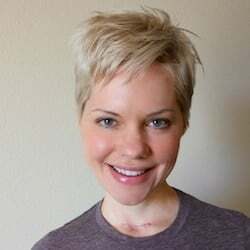 Yes, you can do that, Jodi! Depending on how much you want to cook your radishes, you can add them with the other veggies, or add them in at the end instead of the cauliflower. Thank you! I think radishes are harder than the cauli?? So I wanna make sure I have enough time for it to cook, I’m going to make this tonight! I would slice them or cut them into pretty small pieces. You could actually add the radishes to cook with all the other ingredients and I think that would be perfect! Yet another reason to love the instant pot! Your beef stew looks delicious! I love all the veggies you put in there!! I love a good stew. Especially during these cold and snowy days of winter. This would be the perfect meal to warm up with after hours of shoveling (that is happening right now). I haven’t got an instant pot yet but it would be so good for recipes like this, especially if I wasn’t organised earlier in the day to get the slow cooker out! Beef stew is my partner’s favourite too! He always looks forward to the day when I tel him it’s for dinner! Your version looks so tasty, love added radishes! This looks so lovely and healthy. Beef stew is one of my favorite winter dishes to warm up. Especially with the extra chill these days. Thanks for sharing. I saw a big beef roast on offer the other day! I am totally gonna go for it and make a big batch and freeze it in small portions! Love a good stew in winter! I love a good hearty stew in the winter! I swear, I can smell it already! 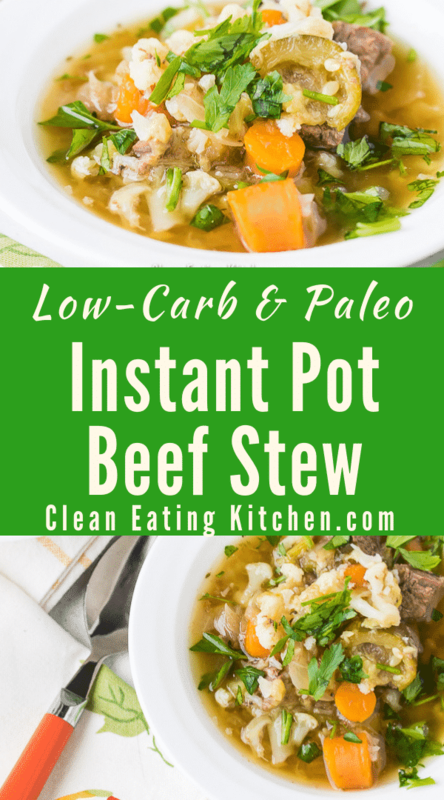 Instant Pot to the rescue every time! 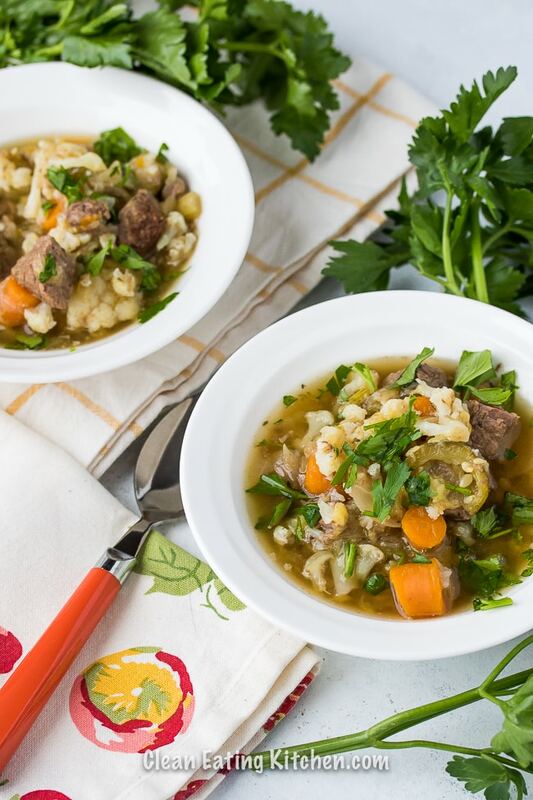 Making soup in the IP is the best and beef stew is always a win with the whole family. Definitely throwing this on the menu plan for the coming week! You are so right, the instant pot is such a great tool to make so many recipes! 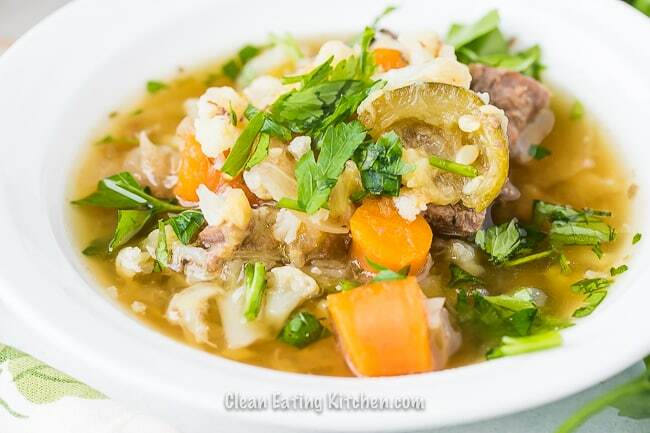 This beef stew is perfect! All the veggies and beef look so tender and delicious after being made in the IP! I am glad your hubs let it be made in the ip because this is delicious and easy to make! Instant pot is been my new addiction in the kitchen. Love it , love it and love all the recipes you can conveniently make with it. Stew looks so delicious and with loads of vegetables this is perfect stew! Beef stew in just 30 minutes? Oh, I’m so here for this! Can’t wait to give this a try. Instant pot is a blessing for a people like us when you want healthy, quick and delicious dinners in no time. Such a hearty and comforting meal.